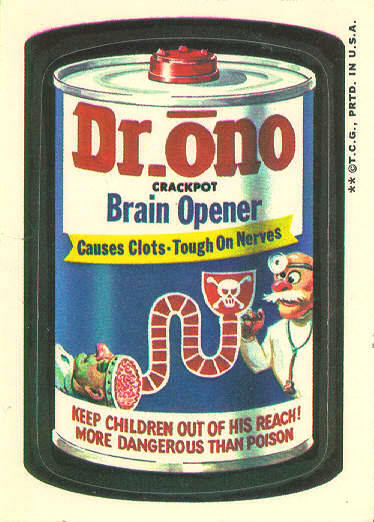 Was Drono dropped because the mad doctor looked too much like Drano inventor Phillip Drackett? Drackett's grandson ran the company which sent the C&D to Topps in 1973. 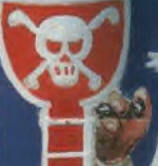 You may have noticed that the doc is holding a syringe, which has been painted over with a skull and crossbones. Was he squirting something funny into his patient's tube? 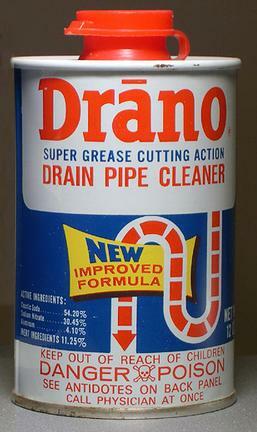 Notes found on the Lucky Stride rough art suggest that "Braino" was Art Spiegelman's first choice as a Drano parody. Drono is on the list, but crossed out. DR?8 / BRAINO DR ONO ?????? 3rd Series Variations The 3rd Series stickers were printed on 2 different backings -- Tan (common) and White (rare).